Outspoken QPR manager Neil Warnock has been released on police bail following a series of incidents in London that he blamed on referee Phil Gibbs. Gibbs was in charge of QPR’s 1-0 victory at Doncaster Rovers on Saturday but it is now clear that Warnock found several of his decisions somewhat contentious. Warnock was arrested this morning at his residence in West London by armed police, and was heard screaming Gibbs’ name as he was bundled into a police van with his hands cuffed behind his back. It is alleged that Warnock deliberately drove his BMW X5 SUV into a crowd that had gathered outside a bar in Putney at around 11pm on Saturday, killing two men and injuring another six people, two of them seriously. He then backed his vehicle out, injuring a street pastor that came to survey the damage and offer assistance. Despite having a badly damaged front axle, smashed windscreen and punctured tyres Warnock then drove another half a mile in his stricken vehicle before smashing it into a phone box, killing the user of the telephone instantly. He then abandoned his vehicle, setting fire to the seats as he left. The car eventually exploded, causing significant damage to the street and houses on it. Swigging from a bottle of brandy, Warnock then shuffled towards a nearby petrol station. It is thought that the night cashier desperately tried to call for help as he spied Warnock pouring brandy around a petrol pump and then lighting the mixture of alcohol and spilled fuel with the dog-end of a large Cuban cigar. As the forecourt exploded the cashier was killed, and two bystanders – out late buying bread, mars bars and pot noodles – were hurt. 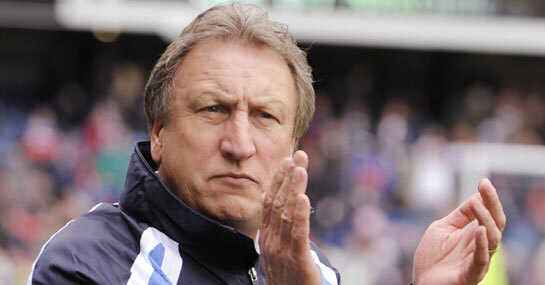 Further bystanders tried to subdue Warnock but he injured a further three by lashing out with his powerful elbows. He then stole a nearby car and made his escape until his arrest this morning. It is thought that Warnock will somehow manage to have a midfield hatchet man injure 4 of the jury at his trial, ensuring that he remains free to offend again.